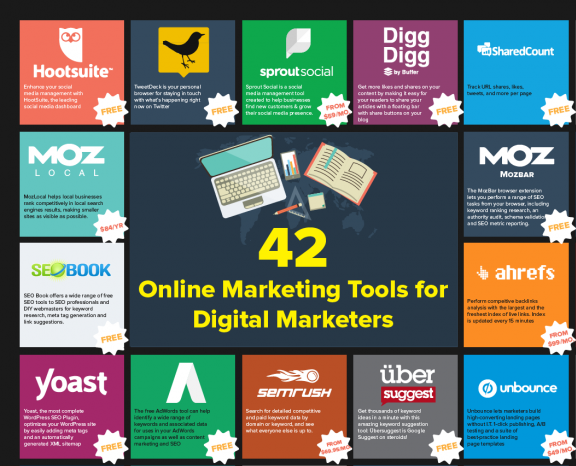 The online marketing tools available to digital marketers make many tedious, time-consuming tactics easier. With the ever-increasing number of channels to communicate with your customers, the more tools to simplify and streamline your online presence, the better. 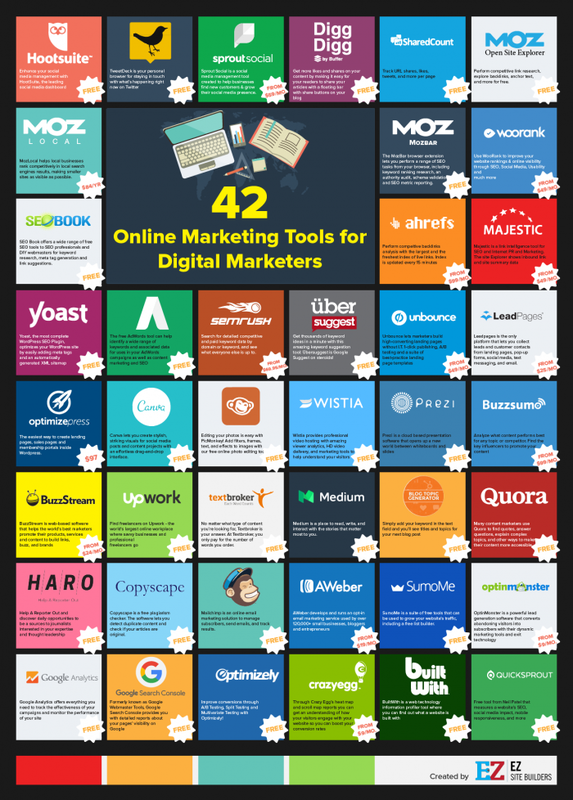 EZ sitebuilders put together a list of 42 online marketing tools for digital marketers that offer an astonishing array of services. Most offer free basic access, with upgraded editions offering additional services. Let’s take a look at the major categories of free tools, what they do, and how they can make your online marketing a whole lot easier.